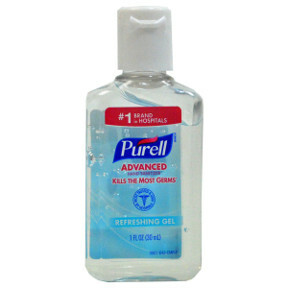 Purell Advanced Hand Sanitizer Refreshing Gel 1 oz. 1 fl. oz. travel size Advanced Hand Sanitizer in a plastic bottle. Refreshing Gel. Kills the Most Germs.